Every baby shower needs a few joyful tears! Read Mother's Heart or Grandma's Heart at your next baby shower and it will do the trick! 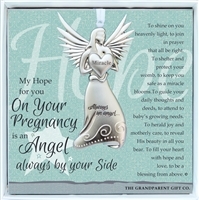 Baby Showers, Gender Reveals, Grandma Showers, you name it...adding one of our sentimental products to the gifts list will tug at everyone's heartstrings.